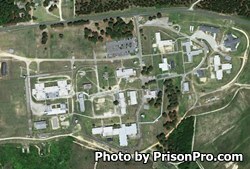 Morrison Correctional Institution is located in Hoffman North Carolina. It is a medium security prison that houses 801 adult males. Medium custody inmates are housed in three dormitories, Aggrey, Bost, and Johnson. Minimum inmates are housed in an additional four dormitories Edwards, Jenkins, Auman and Newsome. Inmates in all units can receive substance abuse treatment and educational courses to obtain an adult basic education and GED. Morrison Correctional Institution has vocational programing available to inmates that include electrical wiring, upholstery, culinary arts, clerical skills, industrial maintenance, and masonry. Visiting at Morrison Correctional Institution occurs on Saturdays and Sundays. The day and time of the visit will depend on the first letter of the inmate's last name. The schedule rotates periodically so contact the facility prior to your visit to ensure it has not changed.